A long time companion to composite decking, Treated Timber 47mm x 150mm joist performs best for substructures with a height above 350mm. 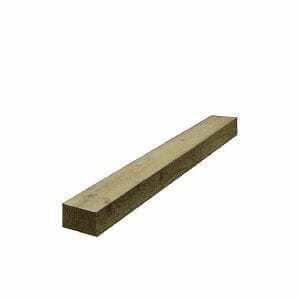 Recommended for uneven or soft ground, the Treated Timber 47mm x 150mm makes quick work of building a frame that will support the composite decking. As used for structural construction for a robust installation, the high pressure treated whitewood will give you the quality structure for outdoor living.